from Juneau to Haines in a KAYAK! The last week in July found me bobbing along (i.e. being thrashed around by the ocean) in a kayak en route for Haines – a town 66 miles north of Juneau. Left Juneau on an overcast Sunday and made it to Haines by Thursday afternoon. It was a wild trip, the ocean was 2-5 foot seas and spitting rain most of the time. For once, the rain was the least of our worries. (We wore dry suits and besides, you are very warm when paddling!) It was an awesome trip, definitely one of the most challenging things I have done to date, but I learned a ton about kayaking and real camping in SE Alaska. This trip has been in the planning stages for over a year and I embarked on it with two other ER RN’s, a PA, and a spouse of a nurse. The Southeast State Fair was taking place in Haines that weekend, so that was the reason we headed in that direction. The fair was a blast as well and I am planning to go back next year … great music, fun people, good food and beverages. Mike, Brenda, me, Annie, Erika - We made it!!! 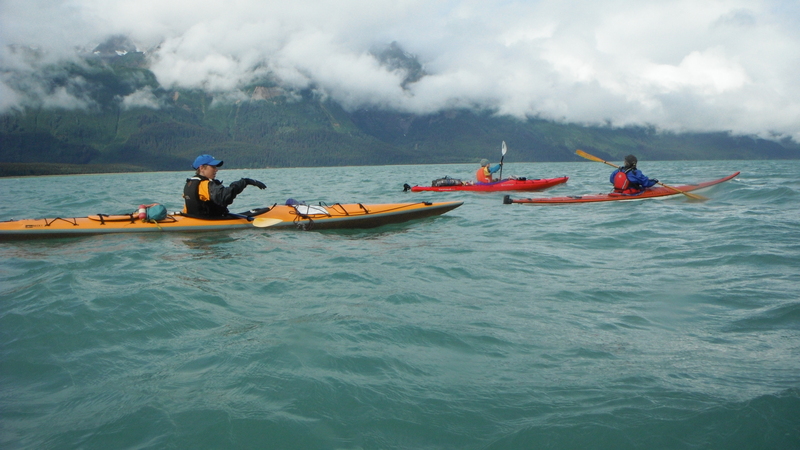 There is also another kayak trip in the planning for next year as well … Glacier Bay, any takers? Mike, Brenda, me, Annie, Erika – We made it!!! 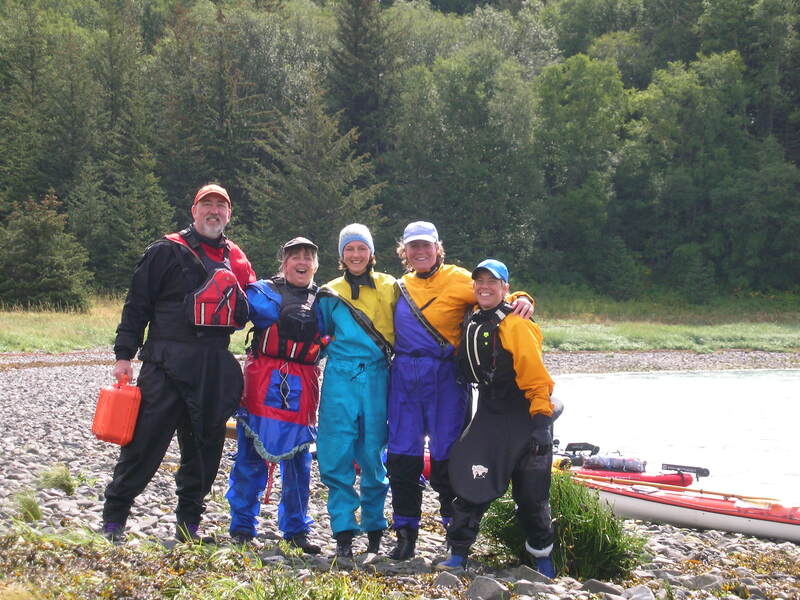 2 Responses to from Juneau to Haines in a KAYAK! Oh, my I will live vicariously through you Rachel! I only wish I had been that adventurous or could be today! I need to unleash my adventurous side or find it somewhere, I think it got lost. Do you ever install a certain disc that a certain Aunt gave you (hint hint? ).